Chives and potatoes, a classic combination. 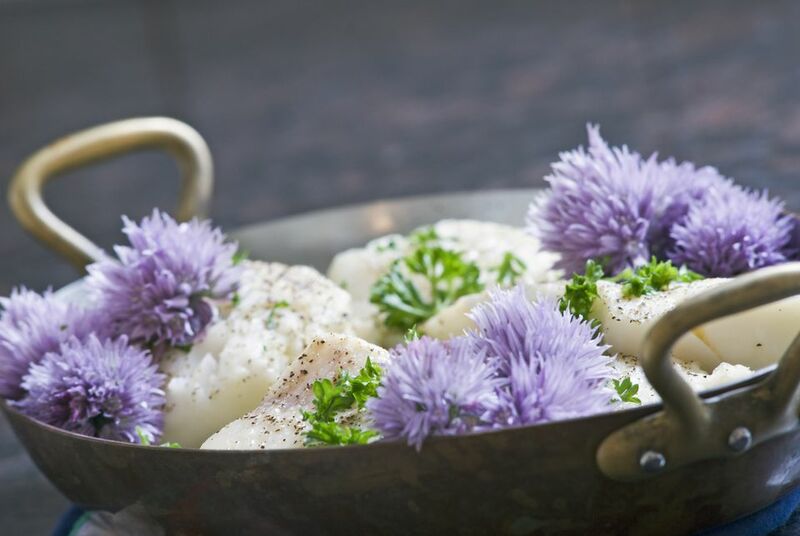 In this case, not only do the chive blossoms add flavor, they also add color to the mashed potatoes, which otherwise don't have much color to them. Just chop the chives and chive blossoms and stir into the mashed potatoes. Here's a mashed potato recipe.